Nothing can look better on the adult baby boy than shortalls. I probably have a half-dozen in different patterns and materials, ready for a toddler who needs something durable and adorable for play time. 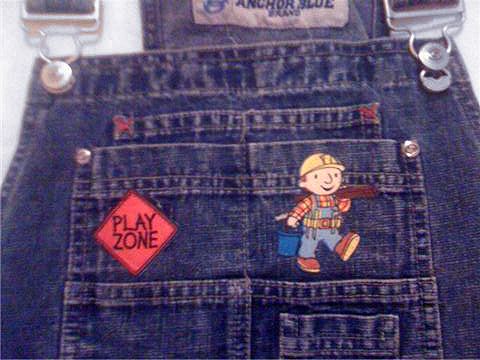 These shortalls mean work. Well, not work exactly, but moving blocks around from place to place, or pushing trucks around the floor while daddy goes vroooom! The decals are adorable, perfect for the boy whose inner toddler is maybe 4 or 5. 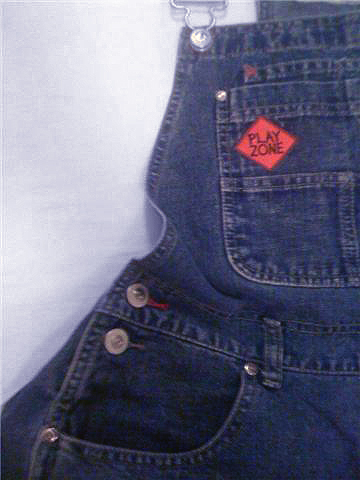 The bib front isn’t going to hold anything but the ‘play zone’ design will remind your toddler that playing can put him in his own special little zone. There’s a feature of these shortalls that I’m in love with, something that maybe dad will notice and son won’t: namely, the snaps. Two snaps on the side are critical for dressing. There can be nothing more frustrating than trying to get clothing over a thickly diapered boy. The side snaps make it easy….undo them while your son lies on the change table, slip the legs over his diapers, then do up the side snaps to keep everything snug and comfortable at the waist. The leg snaps let you access the boy’s diaper, change him and get him back to play in no time. Oh – and one other “non feature”: that ‘fly’ at the front? Doesn’t work. There’s no zipper or fly because, well, why would there be? 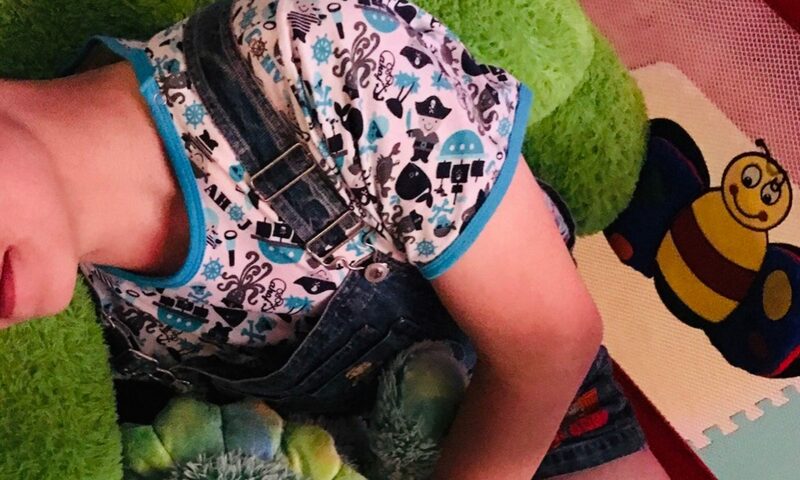 I Love to ear my Shortalls and Overalls… My Favorite times outside the house are when I wear my Shortalls and Overalls either out to the park, beach, mall, or movies. Looove ’em!!! I wish I had a pair just like those! Looking for someone who can make me some, I live in Canada. 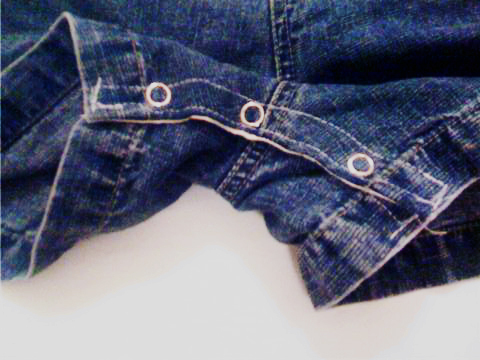 David – I got these from a really wonderful person on e-Bay who does custom fits and patterns. She delivers to Canada as well. 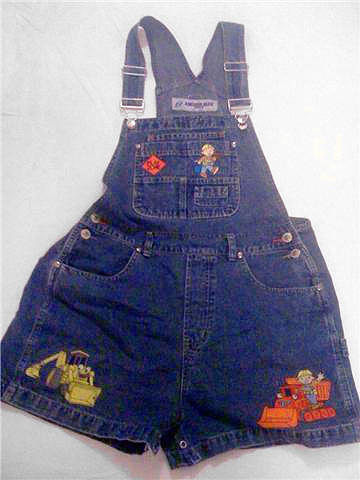 I don’t like to sound promotional or anything because I don’t collect advertising money or want to sound like I’m pitching anything but if you look up ‘adult baby shortalls’ on eBay you can probably find the person I mean. Get in touch with her and she can usually do custom orders. I can just imagine what a cute little boy you’d be in your awesome shortalls with the snaps between the legs for easy diaper changes. Perfect for play time! those are SO cute! i wish i had a pair with blues clues on them! Haha – awesome idea Jimmy – and I think I saw some with Blues Clues on them too!